Located 570 meters above sea level, this 30-meter fall forms the part of the Maha River which originates on both sides from the Raksawa Mountains. The place is a bit crowded on holidays especially during the festive seasons. The water is clean, and the surroundings are a gem to watch. Although, this place is not recommended to visit during the rainy season as it can get very slippery and the trail is rough. You can visit the top of the waterfall and chill out. There is a safe place to take a refreshing bath while feasting your eyes on the magnificent views of the surrounding. Make your visit suitable to your interest, use Bulathkohupitiya trip planner for personalization. Add accommodation and hotels in Bulathkohupitiya that suit your budget including the most recommended ones like Belle Kasha, Leaf Watagala and Palmstone Retreat. Curated Bulathkohupitiya vacation packages await! Book the best ones and start turning your dream into reality.Discover various ways for how to reach Bulathkohupitiya and complete the booking by choosing your mode of transport. Love this? Explore the entire list of places to visit in Bulathkohupitiya before you plan your trip. Fancy a good night's sleep after a tiring day? Check out where to stay in Bulathkohupitiya and book an accommodation of your choice. 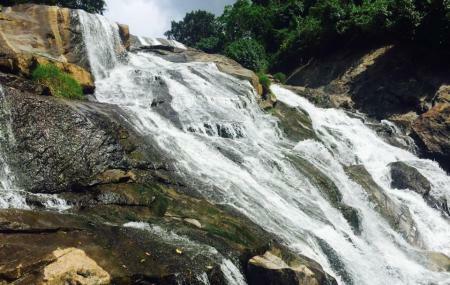 Asupini Waterfall is very attractive place, but we should very careful on the top of fall. A best place for a one day visit. But be careful. The water level rises sometimes. Heart touching place.be with your friends.